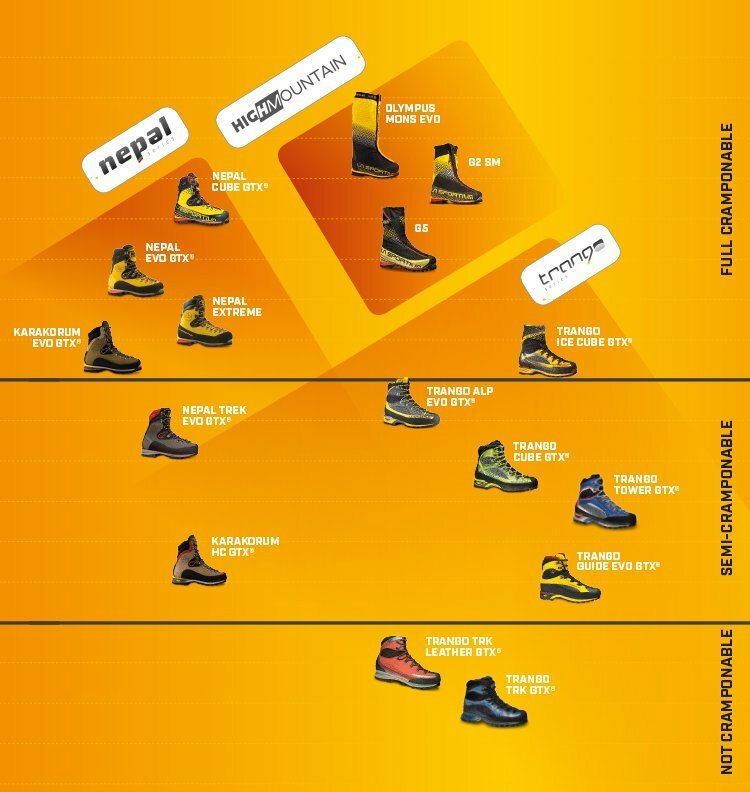 Evolution of the iconic Nepal Trek, it features the upper of the Nepal Evo, combined with a less rigid and lighter structure. Ideal for traditional mountaineering, difficult trekking and for professional who always demands the highest performance in every condition. The Gore-Tex® lining makes it completely waterproof and breathable. 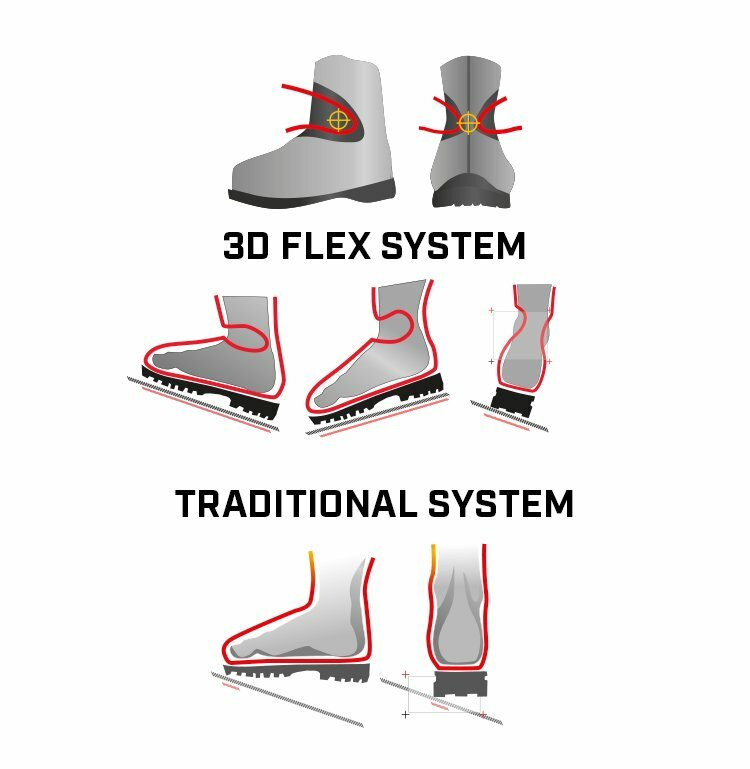 The upper features the innovative “3D Flex system” multidirectional ankle hinge. An all new snug fitting and comfortable last. New tapered shock absorbing PU midsole in the heel area and the ball of the foot. 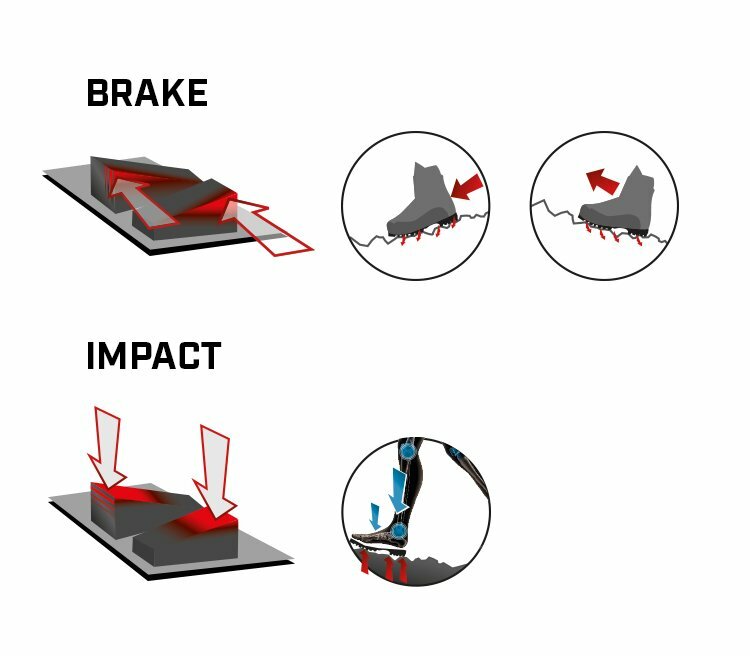 Exclusive sole with IBS technology (Impact Brake System), developed in partnership with Vibram®, designed to soften impact on hard ground. Removable tongue with incorporated ventilation system, gives the option of adjusting the fit, personalized for any foot. The EZ OUT pull loop (Patent Pending) facilitates the unlocking of the lace lock. The new models weights only 1700 g.
29/08/2018 Ottima fattura, si apprezzano le innovazioni tecnologiche impiegate ed è un prodotto veramente di altissima qualità! Ottima aderenza al suolo, confortevole e ottima calzabilità. 10/08/2018 J'ai effectué peu de randonnées depuis que je les ai reçu, et c'était à basse altitude, donc mon commentaire va manquer de pertinence. 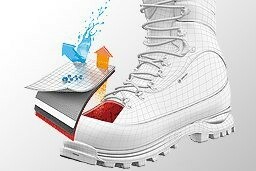 Mais pour le moment, je suis pleinement satisfait de ce modèle de chaussures de montage. 03/11/2018 Estoy muy contento con este modelo, por que es super cómoda una pasada es menos rígida que antes pero para el tipo de trekin que yo hago es ideal. Luego la manera de absorber los impactos y la rugosidad del terreno es sorprendente. 1/26/2019 it feels like the whole shoe is shaped after my foot. I have the nepal evo gtx and fit is the same but this is lighter and is slightly less rigid.